Yesterday, we brought you Part 1 of our Top 10 Breakout Athletes in 2018. Let’s bring you the concluding part, starting from 5-1. Do you agree with our picks and their order of rankings? Do let us know if you think we missed someone. 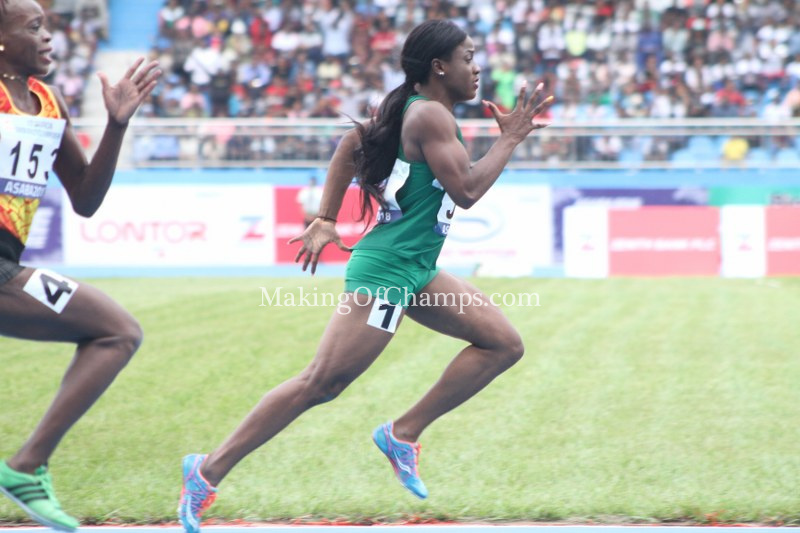 Who would have thought that Favour Ofili just over a year ago, was trying her luck so to say in the 100m and 200m, going by how firmly settled she is in the 400m where she is not just making up the numbers, but has gone on to prove her mettle in this event? 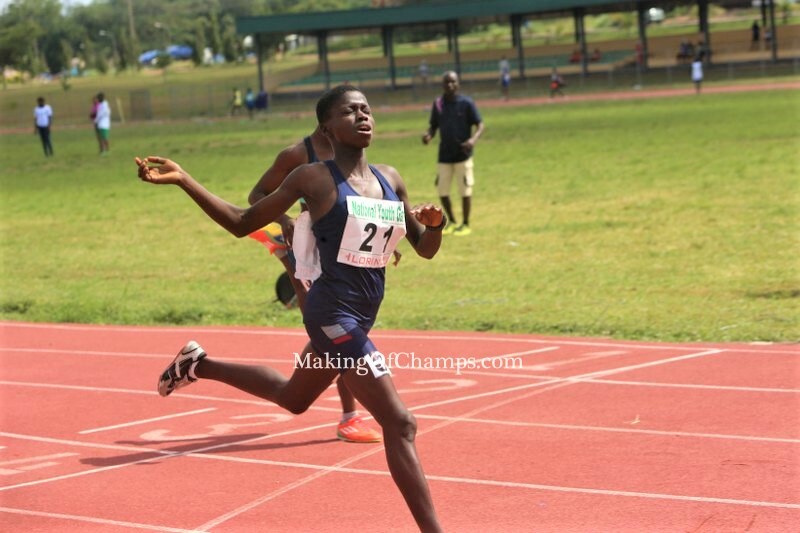 Last year at the National Youth Games (NYG) in Ilorin, Ofili finished 4th in the 100m final with a time of 12.29s, before going on to clinch Silver in the 200m with a time of 24.7s (handtimed) behind Rosemary Chukwuma who won the GOLD medal. All pointers looked as though Ofili would be strutting it out in either the 100m and 200m, but it was a puzzling decision how she had to forego both events this season for just the 400m, which in hindsight, now looks like a masterstroke move. 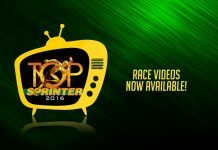 However, it must be stated that Ofili’s foray into the 400m didn’t start this year. 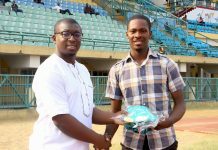 At the AFN Dynamic Solution meet in June 2017, Ofili finished 5th with a time of 58.62s. She was to still have another date in the 400m, five months later in November where she clocked 61.85s to finish 6th at the All Comers meet. 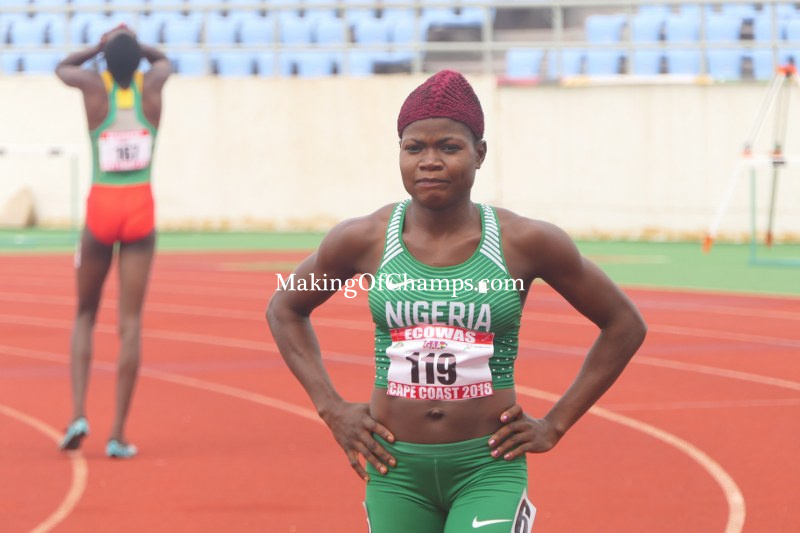 This year, with full concentration on just the 400m, she blossomed and is now seen as one of the next generation of Nigerian female quarter-milers who would excel in this event. 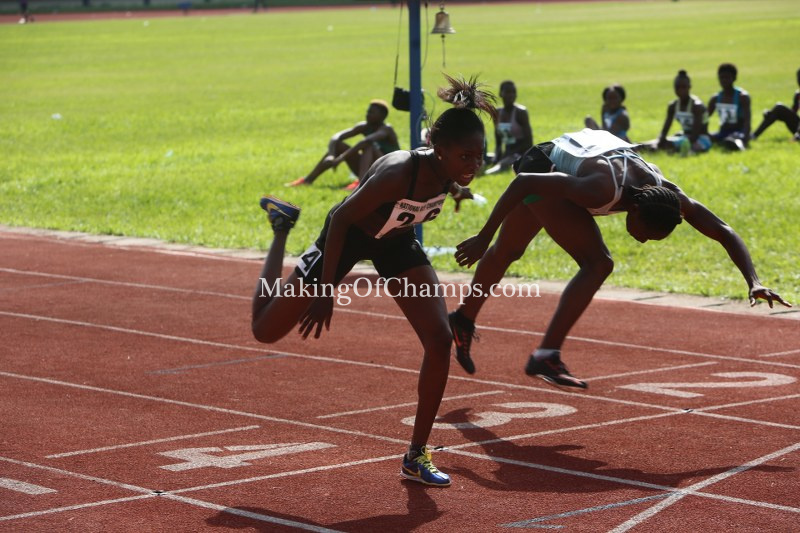 At the Junior Championships in Ozoro, Ofili defeated Blessing Ovwighoadjebre, clocking a then PB of 55.16s. It was this performance that earned her a place in the Nigerian team to the African Youth Games (AYG) in Algiers. 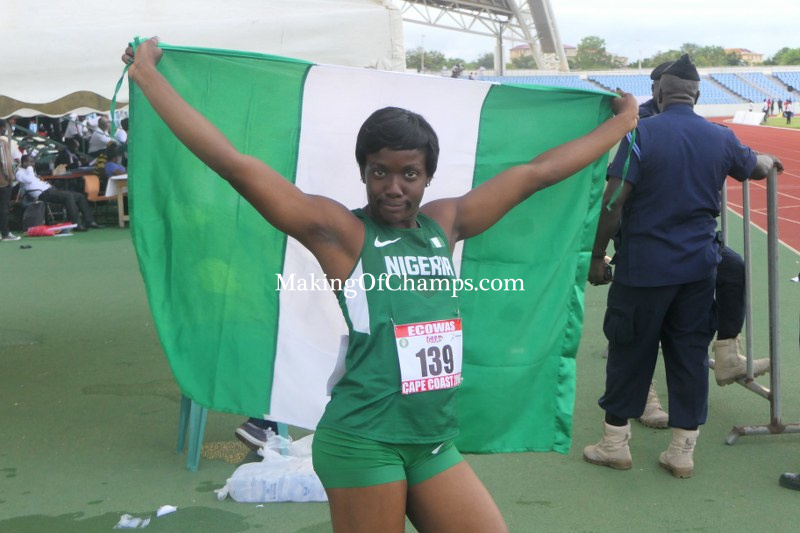 At Algiers, Ofili improved by over a second, winning the AYG 400m title with a PB of 53.57s. 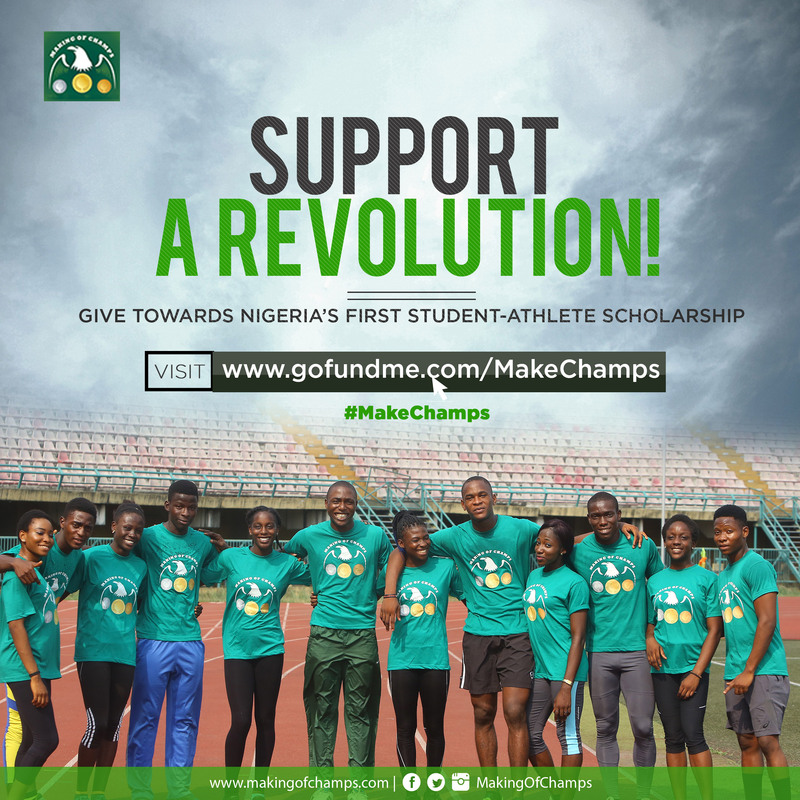 Two months later, Ofili went on to represent Nigeria and Africa at the Youth Olympics Games in Buenos Aires, posting a time of 55.51s in the heats. 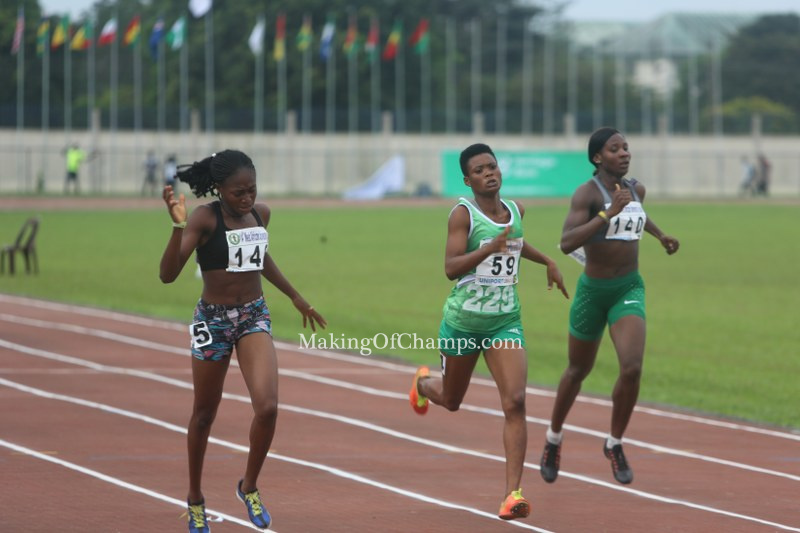 It was at the West Africa University Games (WAUG) that Ofili cemented her place as a major contender, coming very close to her PB and beating the likes of Rafiatu Nuhu and Praise Idamadudu to win GOLD with a time of 53.64s. She also played a vital role in helping the University of Port Harcourt win GOLD in the 4x400m relay, her second of the competition, and fourth GOLD medal in 2018. 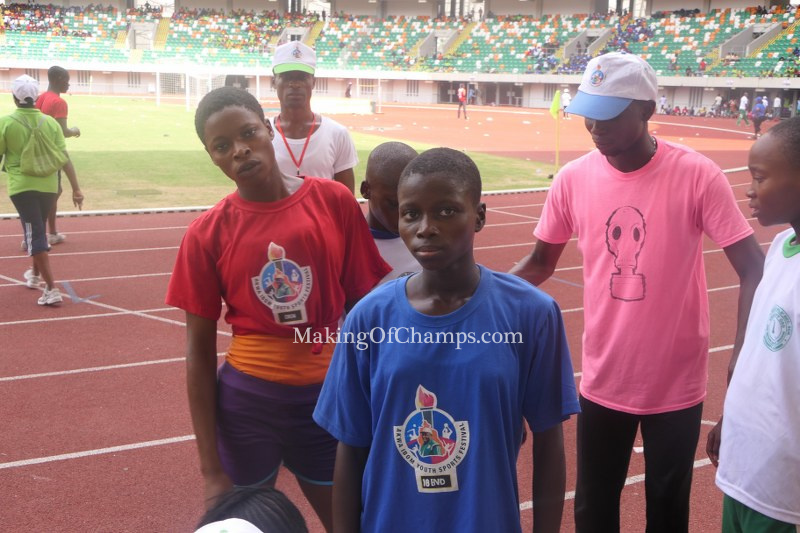 Although she didn’t compete at the National Sports Festival (NSF) in Abuja, Ofili definitely had a season to savour. 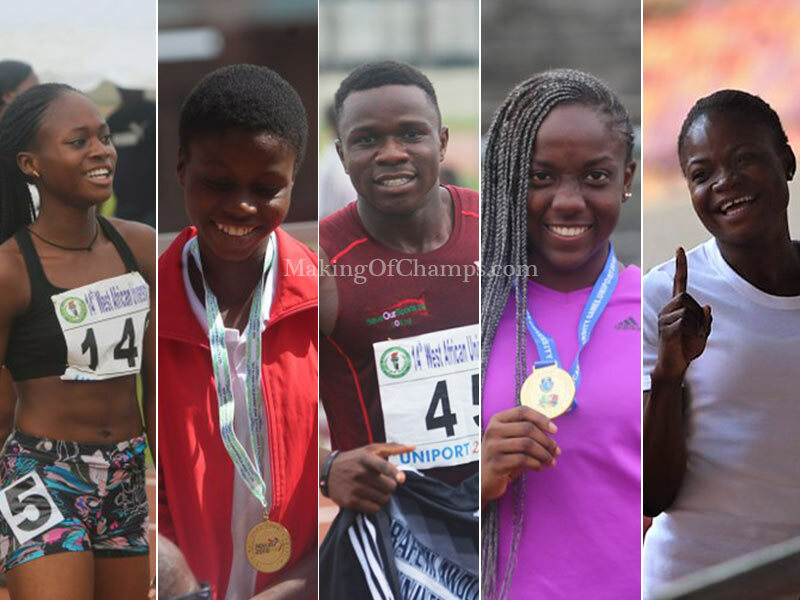 There is no disputing the fact that 2018 has been a defining season for talented sprinter Rosemary Chukwuma. Having started the year at the Port Harcourt Golden League where she went under 12s for the first time in her career, finishing 3rd in Final A of women’s 100m with a time of 11.93s, it set the balling rolling for a thorough breakout season. Chukwuma was one of the standout performers at the Commonwealth Games Trials, clocking a then PB of 11.55s to win her semifinal heat before going on to finish 2nd in the final with a time of 11.58s. It earned her a spot in the Nigerian team to Gold Coast, and she anchored Nigeria to a podium placement in the women’s 4x100m, with the team clinching the Bronze medal in 42.75s. That was Chukwuma’s first medal for Nigeria, but there were many others on the horizon as she won three other medals in Ghana two months later: Bronze in the 100m, Silver in the 200m and another Silver in the women’s 4x100m, winning a medal in all three events she entered for at the Under 20 Championships. Then came July when Chukwuma clinched the double for Nigeria, winning GOLD medals in both the 100m and 200m at the AYG in Algeria, running a new PB of 11.40s for her 100m triumph, also extending the PB rain to the 200m which she won with an impressive time of 23.45s. Such was her importance to the Nigerian team, that few days after arriving from Algeria, she was immediately drafted into the senior team, playing her part by running the anchor leg and helping Nigeria win GOLD in women’s 4x100m at the African Championships in Asaba. 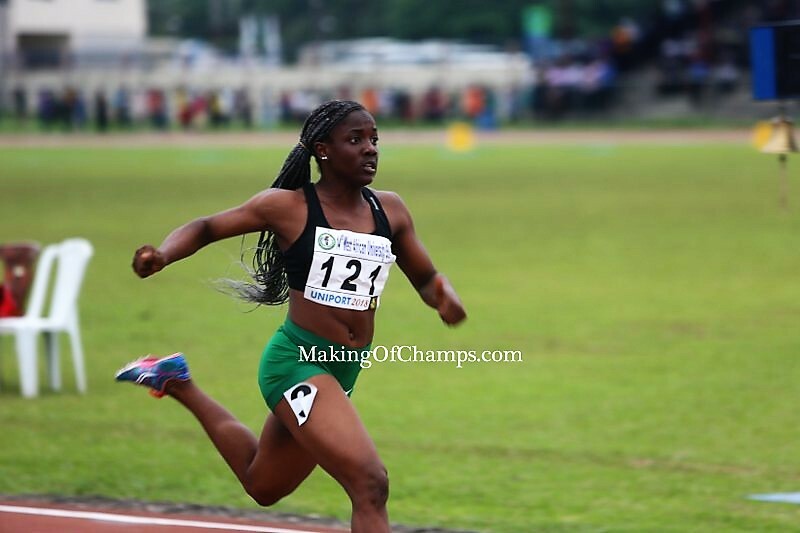 At the Youth Olympic Games in Buenos Aires, Chukwuma won the GOLD medal in the women’s 100m in 11.17s (+3.3). Although she finished 5th at the NSF in 11.56s, Chukwuma has already had a spectacular season which has seen her successfully climb the ladder and taken her place as an elite female sprinter in Nigeria. 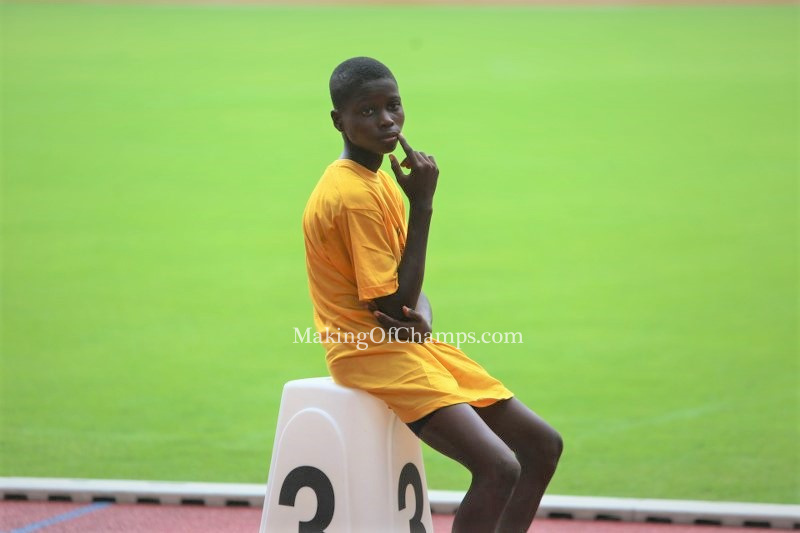 This year, no Nigerian male sprinter has carried the expectation of going under 10s more than Enoch Adegoke. Such has been his rise this season, with many tipping him to finally break the 12-year jinx (the last time a Nigerian ran a sub 10). Having put up respectable performances in 2017 including clocking a then PB of 10.40s at the AFN Dynamic Solution meet, Adegoke went up a notch higher, really flourishing in the 2018 season. 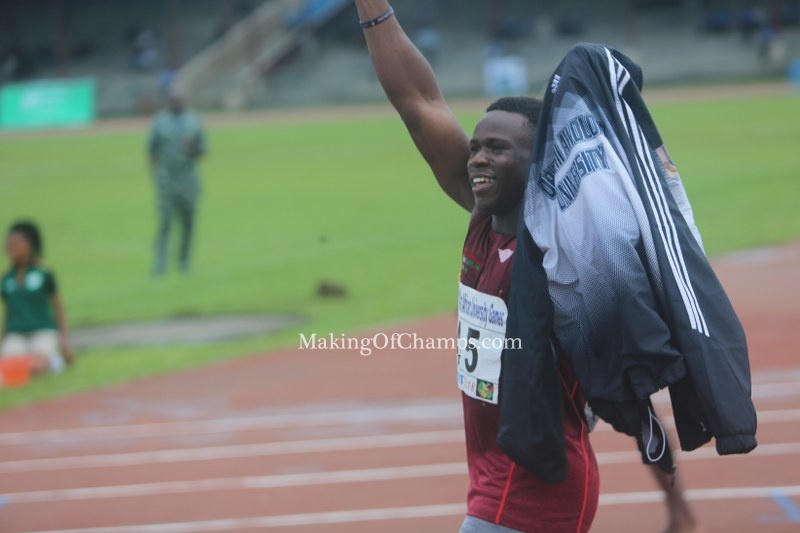 Adegoke served up what to expect from him this season when he put up a series of good races at the Abuja Commonwealth Games Trials, running 10.43s in the heats, 10.51s in the semis and then 10.31s to win the final. That got him an undisputed seat on the plane to Australia in April. 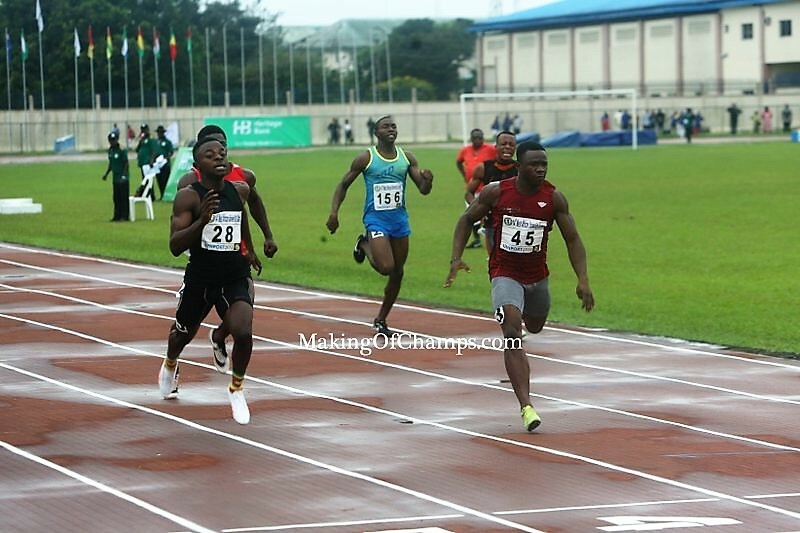 Competing in Heat 4 of men’s 100m at the Games, Adegoke who has one of the best bullet starts in the game, bolted out from the blocks and raced to a Lifetime’s Best of 10.19s. Only Seye Ogunlewe had run as fast at the time when he narrowly missed out on a podium placement in the 100m final, clocking an identical 10.19s with Jamaica’s Yohan Blake who got the Bronze over the Nigerian. 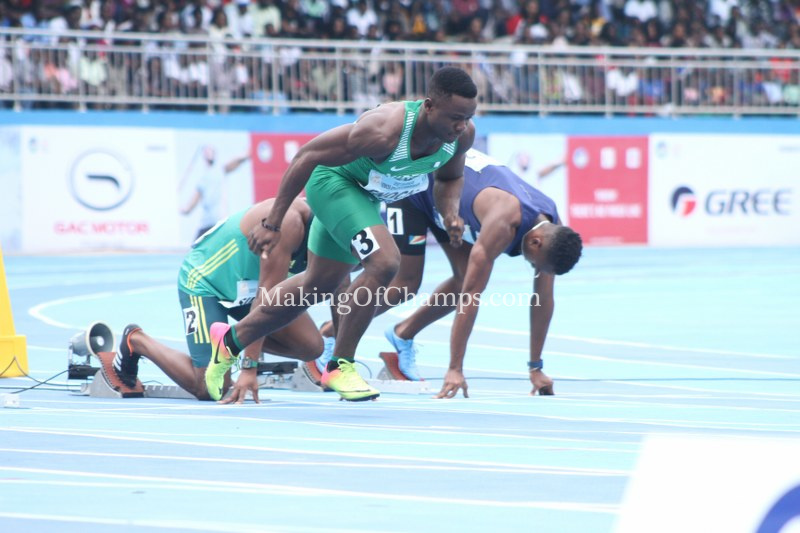 For Adegoke, although he finished 7th in the final with a time of 10.35s, he had already made a big impact even though it did not culminate in a podium placement, winning his semifinal heat in 10.24s. Adegoke was one of the three Nigerian athletes registered to compete at the World Junior Championships in Finland, but for visa issues he would no doubt have been a major medal contender in Tampere. Although he had a mixed outing at the African Senior Championships in Asaba, getting to the men’s 100m semis, he was part of the Nigerian team that won Silver in the men’s 4x100m. 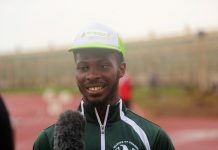 Representing his school, Obafemi Awolowo University at the West African University Games, despite being late in the season in November, Adegoke was back to his best with a commanding performance to win the 100m title with a time 10.21s. 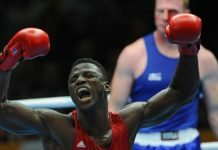 He however did settle for Silver in the men’s 200m with Alaba Akintola getting one over him to win the GOLD medal. He would take solace in the fact that he raced to a PB of 21.18s to win his 200m semis. 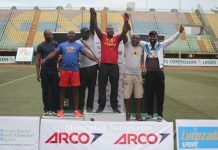 There was still time for Adegoke to win more medals, getting the Silver medal over Ogho-Oghene Egwero at the National Sports Festival, with both athletes posting a time of 10.32s. If Adegoke stays fit next season and is 100 percent going into a race, it’s going to be difficult stopping him in 2019. Doubt there would be a better symbolism of a breakout athlete in Nigerian Athletics circle than Joy Udo Gabriel’s meteoric rise to instant stardom in a year. 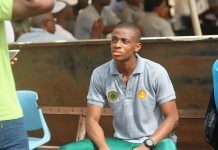 Most Nigerian athletes have to pass through the youth and junior cadres before getting a look-in for the senior category. As a junior, it’s quite a herculean task making your debut at the senior level, because you really have to prove that you belong there. That has been the story of Udo-Gabriel who before she had clocked 19, was chosen to represent Nigeria at the Commonwealth Games. For some, fright would have taken over. Not that Udo-Gabriel started running in 2018. As a matter of fact, in June 2017, she was one of the fastest home-based athletes in the country, running a then PB of 11.65s at the AFN Dynamic Solution meet. It was at that competition that she started gaining confidence that she could match up to the seniors. Fast-track to 2018 and it has been uphill for Udo-Gabriel who has not looked back. 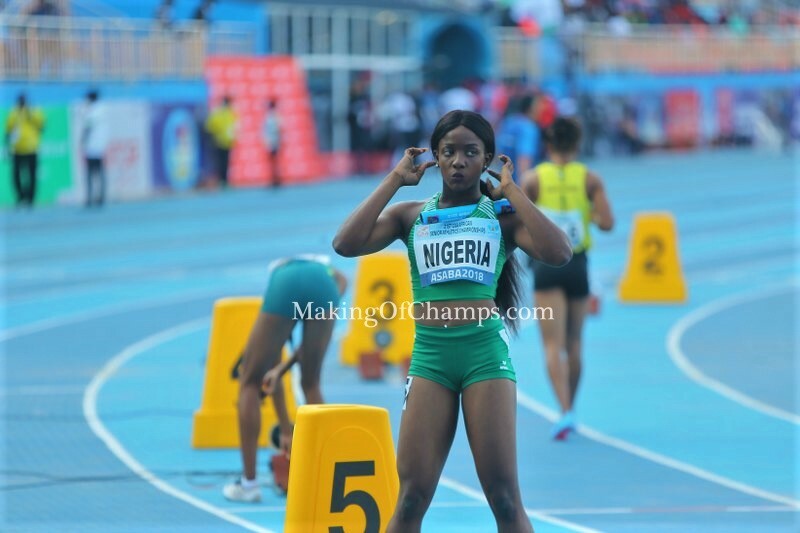 Having started 2018 with a 2nd place finish at the Golden League meet in Port Harcourt, running 11.83s, she posted the same time in the heats of the Commonwealth Games Trials. She got better in the semis, equaling her PB of 11.65s to finish 2nd in the semis and then going on to finish 3rd in the final with 11.70s which earned her a place on the team to Gold Coast. Racing in a stadium filled with many spectators, Udo-Gabriel showed no trepidation crossing the line in 11.42s to finish 2nd in her 100m heat at the Commonwealth Games, going on to finish 4th in the semis in 11.53s, and narrowly missing out from running in the final after finishing 9th overall. Taking the lead leg for Nigeria in the 4x100m, Udo-Gabriel’s good start gave Nigeria a chance, with the team getting round the baton to get the Bronze. It’s interesting that Udo-Gabriel first made her senior debut for Nigeria before the junior one. Coming up against home favourite Halutie Hor at the ECOWAS U20 Championships in Cape Coast, it was a rematch of their race in Australia. Not only did Udo-Gabriel clinch the double, winning the 100m title in 11.72s, she also went under 24s in the 200m for the first time in her career, completing the double with a PB of 23.92s. 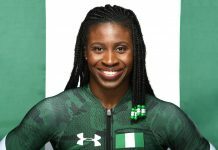 She was one of the three athletes chosen to represent Nigeria at the World Junior Championships in Finland, and for the second time in her early career, she missed out on participating because of some administrative issues with procuring visas. The first time it happened to Udo-Gabriel was in 2017, when Nigeria did not send a team to the African Junior Championships in Algeria. 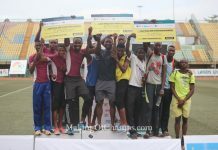 Shaking off the disappointment of missing the World Junior Championships, Udo-Gabriel channeled much zeal into the African Athletics Senior Championships in Asaba. She got two wins on the bounce in the 100m (heat and semis) before going on to win Bronze in the final behind Marie Josee Ta Lou who won GOLD, and Janet Amponsah getting the Silver. 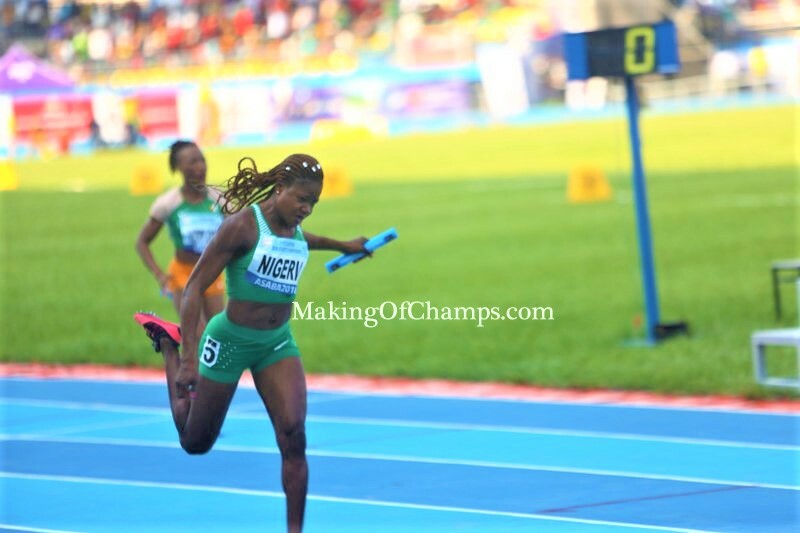 As has come to be the norm in Nigeria’s women’s 4x100m, Udo-Gabriel started the lead leg for Nigeria as they stormed to GOLD, thereby qualifying to represent Africa at the Continental Cup in Ostrava. Arriving Czech Republic on the day of her event because of the late issuance of visas to the Nigerian team, she couldn’t compete for Africa in the 4x100m. Coming into the West African University Games as favourite, Udo-Gabriel lived up to the hype to clinch the GOLD medal for the University of Lagos in the women’s 100m, clocking 11.63s in the final and also helping her school to Silver in the 4x100m. Her success within a short period didn’t go unnoticed, winning the prestigious ‘Discovery of the Year Award’ at the Nigerian Sports Awards in November. In a keenly contested race, Udo-Gabriel went on to win Bronze in the women’s 100m at the NSF in 11.54s. Nine medals in 2018! What an outstanding year it has been for Udo-Gabriel. Prior to April 2017, Nse Imaobong Uko had never in her life raced on a Tartan track before, regularly racing on her school field and on the sands of the beach in her village, Ibeno (a community not far from Cameroon, with only the ocean acting as borders to separate the two countries). Uko only came to her state’s capital, Uyo to compete in the Akwa Ibom Youth Sports Festival having won the 400m in her Local Government Area (LGA) competition that saw her being shortlisted to the capital. Running barefoot, Uko nearly won the 400m final at the state level, marginally losing out to Helen Monday who dipped in to nick the win ahead of her. Uko was just running with her natural ability then, no technique, less tactical, but there’s no disputing the inherent talent, although very much unrefined. A year later, Uko was getting the hang of becoming a full blown athlete. This time around at the State’s Sports Festival in 2018, no one could stop her from winning the 400m title. She was now wearing a pair of spikes and had increased a bit from the frail looking athlete a year ago. Running with her peers, she ran a commanding race, leading from start to finish to win. Her first ever electronic timing came in June 2018 when she competed at the National Junior Championships in Ozoro, finishing 3rd in her 400m heat with a time of 58.37s. In fact, she ran a much slower time in the final, crossing the line in 60.88s to finish 7th. Not the hallmark of a world beater, right? But wait a minute. Ozoro was her first time competing outside Akwa Ibom state, and it wasn’t the sort of Athletics baptism she had expected, having conquered her state. 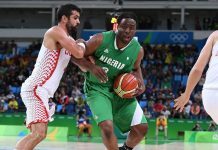 Fast forward to three months after that, Uko came back with a bang at the NYG in Ilorin. She must have learned a thing or two as she put up a stellar outing to win the 200m/400m double at the Games. 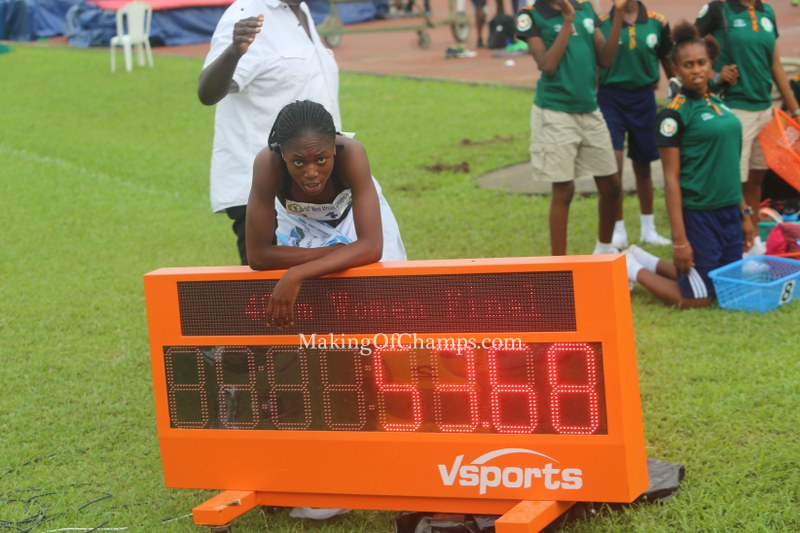 Shaving off close to 3s from her previous PB in Ozoro, Uko ran a scorching 55.78s to easily win GOLD in Ilorin. In fact the organisers were taking note as they moved the 200m semis which was initially slated for the same day as the 400m final, to the next day. Having recovered from the exertion of the 400m final, Uko stormed to yet another PB, this time in the 200m to win GOLD with a time of 24.98s. She was no longer looking like the newcomer to Athletics, steadily climbing up the recognition pole. If Uko’s season had ended in Ilorin, it would by no means have been an achievement as many would give an arm and a leg to have such a season, but best part of the pudding was yet to come. Competing in her first ever NSF, Uko gave signs of what was to come when in the semis she closely chased Yinka Ajayi to the finish line, coming in 2nd with a massive PB of 53.20s. Seeing that it was the 2nd fastest time overall in the two heats of the semis, she instantly became a medal contender. 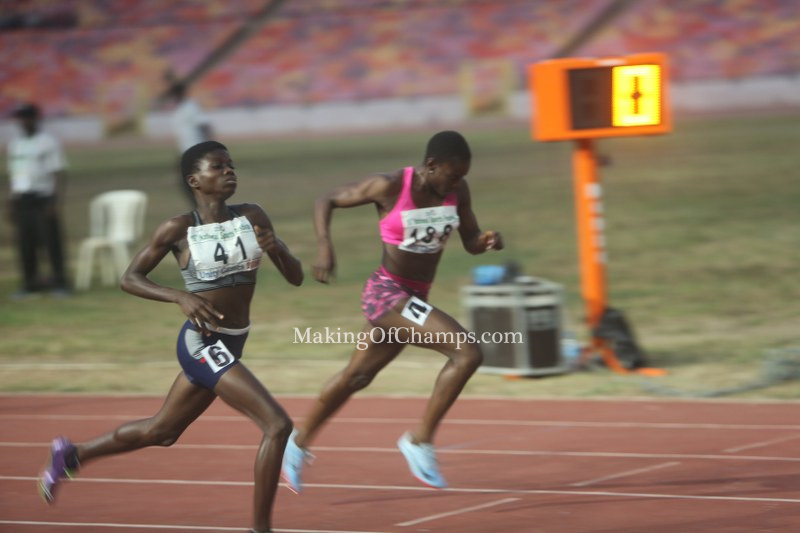 In the final, sandwiched between established names like Yinka Ajayi, Folashade Abugan and Praise Idamadudu, the small Uko was lost in a sea of bodies after the first 200m, but like someone triggered to go on the assault, she pulled down the handbrakes and pedalled to a stunning victory with a breathtaking PB of 52.36s. The last time an Athletics venue erupted in ecstasy like that in Nigeria, was when Emmanuel Bamidele raced to a time of 45.23s to win the 400m during the Commonwealth Games Trials. Such was the level of excitement arising from Uko’s victory that they had to halt the men’s 400m final for about 20mins, to accommodate the photo ops and jubilation. It is one thing to excel in a Youth competition, but to transit the success over to the senior category takes some guts and real determination from a strong-willed athlete. Note that in a space of six months, Uko ran more than five PBs from the time she ran 58.37s (her first ever electronic time); that’s six seconds shaved off in six months. Such progression is unprecedented. 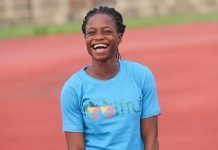 As expected, she became the toast of everyone and even African Record holder, Falilat Ogunkoya came to congratulate her, probably pondering how long before the long-standing record falls to Uko. For someone who until June this year was still helping her family after school with their fishing business, it could only be a matter of time before she starts appearing on a billboard in Ibeno, inspiring children in that community that one can dare to dream.